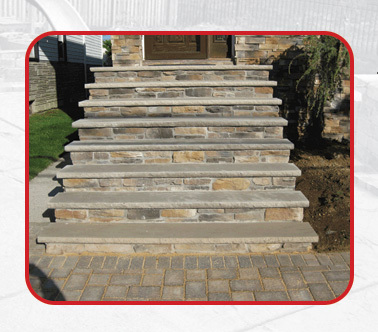 Superior New Set Concrete & Masonry Inc. is a group of talented, skilled and professional concrete and masonry specialists. We are dedicated to the success of our clients' projects. Carl Marra is the owners of Superior New Set Concrete and Masonry Inc which has been doing work in the five boroughs for the past 50 years. Carl Marra has at least 35 years of experience in the industry and he handles the residential and the commercial aspects of the business. Kennedy & La Guardia Airport (United Airline, Delta, Federal Express) - Runway and Terminals. I Just wanted to send a note to thank you and your men for doing such a terrific job on my sidewalk. I had been living with broken concrete for 16 years. It looks wonderful. Your men worked hard, and left the property spotless when they were done. I also appreciate that you were able to do the work so quickly. I am writing to let you know the wonderful job you and your men did on my home. I have marble steps and porch leading up to my home along with marble planters. These areas were in need of special attention. The joints had to be cut out and regrouted. This was quite an extensive job. I also had a large slate patio which, too, needed to be completely redone - the slate removed and the brick perimeter all had to be reset. Needless to say, the men were here on time. There were days when it rained and it was cold and they worked through the day. Your super, Al, kept an eye on all the work and answered all the questions that came up. He did an excellent job. At the initial job estimate - you showed up promptly - ON TIME - came back to make sure the super of the job knew what was required and you also came and called to oversee the job and make sure we were satisfied. If at any time, you would like to have a referral, I will be happy to speak to anyone to the work that was done. I am extremely pleased with the whole job - FROM START TO FINISH.